After Japanese release details let the cat out of the bag, Nintendo has confirmed European release details for both Wii Sports Club: Baseball and Wii Sports Club: Boxing on the Wii U eShop, while also announcing a retail disc version that will combine all five games in one. To start with the download options, these will both arrive on 27th June, and will come with a free 48-hour trial for all — including those that have enjoyed trials before — before adopting the standard £1.79 / €1.99 one-day pass and £8.99 / €9.99 permanent purchase options. The retail disc version, meanwhile, will include all of the sports and arrive in stores on 11th July. As for the games themselves, Baseball very much sounds like the game demonstrated way back at E3 2011, with MotionPlus used for more accurate swings of the bat and the GamePad motion control and screen used for pitching and catching — from a first-person perspective — while fielding. As for Boxing, an interesting detail is that players can use a Wii RemotePlus controller in each hand for added precision, likely ruling out the frenzied waggle-fest of fights in the Wii original. There'll be skill shaper challenges for practising, of course. For those that want all five games we suspect the retail offering will be a more affordable option, minus the convenience of the download passes — and the fact that three sports have been playable for a good while. It's certainly a smart move to release the game this summer, especially as a means of capturing the attention of those considering a Wii upgrade; Nintendo's current system is enjoying a spike of media attention, after all. Are you looking forward to the final two downloads, the retail disc, or not actually bothered about these in any form? Let us know, while we'll keep an eye out for North American release details. Knew a retail version was coming glad I waited and I know this will go down to £20-25 quickly now just NES Remix. Will definitely pick up the retail version, UNLESS there is a good offer on a all 5 sports pass say for £35 (saving £10). I've already bought the first 3 sports, at the very least i expect to get 1 free if i buy 4. Btw that tomodachi life thing is gonna explode, sell very well and the wii U will become socially norm like twitter,fb, twitch, ig, google+, etc. especially if you got celebs in on it as well (i.e, shaq & xtina aguillera). winds of change are blowing. remember where you heard it first!! They better do something to improve the visuals for the retail release. The games all look dreadful when compared to the simple charm of the original. @Jazzer94 Stop reading my mind! Finally retail waiting the sports games has paid off! I might consider it. We've yet to give any of the available 3 sports a try yet because there's always something new that we would rather play. Every time I think about giving them a try I have that "been there, done that" feeling. I know that they are improved versions of the Wii Sports game but I don't feel that there is enough new content to warrant spending the money. Although the online play and "club" feature is attractive. I hated boxing on the Wii with a passion. If it were up to me, they could have included a different sport and left boxing out of the game. Archery from Resort???? Insert usual joke about NOA being late to the party. And by NOA I don't mean Nintendo of Australia. Those are great news. I did not buy any of them, and the extra precision in baseball and specially boxing will be appreciated. Hopefully the disc version will come to the US so I can pick it up. NES Remix are such small downloads that I don't mind having them on the Wii U, but Sports takes around a GB. @Judah_83 - Why do you think 3DS game Tomodachi Life will be good for Wii U? Isn't it just another reason for peopel to buy a 2/3DS instead of a Wii U? I agree w/ your 1st post though. @ThomasBW84 - "we suspect the retail offering will be a more affordable option"
Is that inside info talking or just your gut? We looking at $40? $30? I haven't purchased any yet as I've been waiting for this. And even if it's $50 I'll just wait for a B1G1 sale. Guess this rules out a Sluggers sequel though Well at least maybe this version will give us some options, Wii sports baseball was WAY too limited compared to a real baseball game. I at least would like to be able to pick teams out of my Miis. Only sports I'll ever play on it are tennis and golf, already purchased. So that's me done. Sounds like something that NoA will try to make a big splash over at e3. MIGHT get the retail disc. Although, I would appreciate it if I could buy all of them for the same price at download, but if not, disc it is. I'd get the disc over the downloads but it seriously depends on the price. I plan to get the last two sports. I already have the season pass for the other three so might as well complete the whole collection. Definitely getting the retail version after a price drop: Something the digital version will never have. I've been waiting in North America for this retail version and will buy day one. Haven't bought a single sport yet but Tennis was quite good! @rjejr That's just my gut instinct. I hope there will be some discount for us who bought the first 3. Or maybe for FRRRREEEEEEEEE!!!! Can't wait to start punching people up! @ThomasBW84 - Yeah, I figured. Oh well, guess we'll know next week huh? Maybe Reggie will get around to announcing it in NA by then. I think Reggie living in Cali on Pacific time always leaves him behind the curve, he's probably just now waking up. I liked playing Tennis online, but the WiiMotion Plus kept glitching... (The Mii would hold his racket in a really awkard position while I was just holding my Wii Remote normally, pointed at the screen.) Bowling was fun, but online was just a little bit too much of a waiting game for my taste. Haven't tried out Golf yet, but I'll probably give Baseball a shot. The GamePad addition sounds pretty cool. p.s. hope they give Europe some special miis during E3 for that 3DS accomplishment...hint, hint! looking forward to it. I won't get Wii Sports Club as a whole (like..ever, I just don't like the other sports that much), but I guess I'll buy boxing at some point..if it's as good as it sounds. Otherwise I'll just keep playing the old version from time to time. "U turn", I love it! I'd be interested in a retail disc or a digital deal that's equivalent in price. I need to research if these games offer more than just a graphical update, but I think online play might be enough to warrant their purchase. 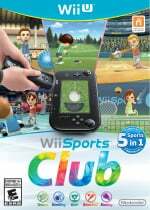 Hope we get a Wii U + Wii Sports club bundle now, with a wii remote for around £199, just like in Japan. 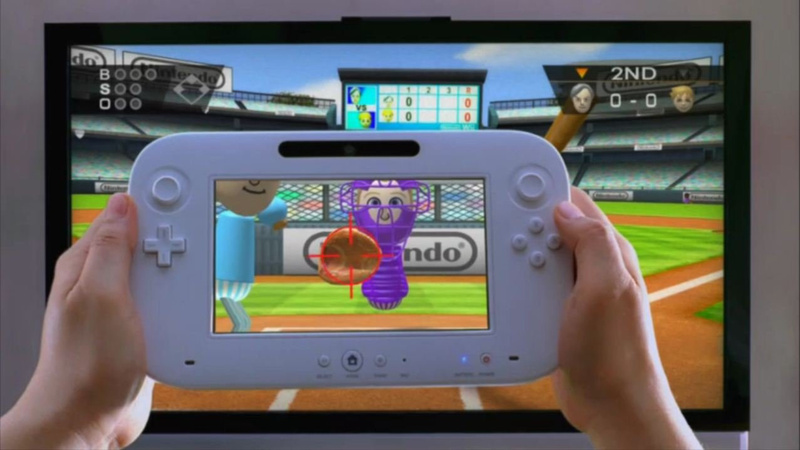 I remember that baseball footage from E3 2011 helped sell me on Wii U... Good times. I like the Wii Boxing but the clunky motion control and the Nunchuk combo made it hard for me to love it. With the dual Wii remote plus, all that might change. Baseball was always meh to me so I'll make use of the trial pass to see if it's any better. In this case I'd actually prefer the download version, as it's quick and easy to play every now and than, rather than exchanging the disc of the game I'm playing intensely with that of Wii Sports Club. But on the other hand, if the price for the retail version drops considerably below that of the download of the whole package, I may still opt for it. Excellent, like most of Nintendo's online offerings I've steered clear (no acceptable Account system) but the retail disc is a likely buy for me at the right price. Well I was waiting for a retail version from the start so I'll pick it up if it's $40 or less. I knew it would get a retail release. Can't wait for boxing. Few things have brought me such joy as socking another Mii in the face and watching them crumble for a KO. Giggled every time. Finally, boxing! Been waiting forever now! But retail bundle sounds very nice, might simply go for that. Good sign. Here's to hoping for a Wii Sports Club and system bundle. I would SAY I'm exited but I havnt even tried my free trials yet and the best sports are already out so I'll probably end up not buying this unless there's a massive game drought and it gets cheap. For me, Wii Sports Club has been a big surprise... amazed how much Tennis benefits from being online, and I love the simple/novel GamePad usage in Golf. I agree that it'd be nice to have a visual upgrade, but I have to imagine they're working on a "for-real" Wii U Sports package, similar to Resort. These games were not built w/ the GamePad in mind. These are clever retcons. I'll definitely be buying Baseball and trying Boxing. Only way I'm rebuying these games is if we get the retail box here in the US. I expect it to be announced at E3... but I'll be waiting. @JaxonH - Nice new avatar BTW. I'm really proud of that LE. Yeah, a few DID turn up on eBay for about $350-$400 Buy It Now price (which is WAY too much, but I knew that was gonna happen), and I could have just bought it online- albeit for twice what I paid, but it's so much more exciting when you get it in the wild. The fact I actually had a guy pre order for me in person is what makes it special. It's the story behind it that gives it personal value. Kind of like antiques, ya know? It's the story behind them that makes them really interesting. Had I bought it off eBay, I probably wouldn't have even mentioned it. I missed that story completely. Congrats, man! I will try mine (normal edition) on Saturday at a friend's house for some tried and true couch multiplayer fun. hope it comes to the US. Definitely would be interested in a retail version of all 5 games. Huh, looks like it was a good idea I chose A Link Between Worlds over the digital Wii Sports Club back in November. Can't wait for them to release it to the US. Never got any of the digital downloads because I suspected they would eventually bundle a collection. I'll be looking for this one when its released. @JaxonH - "a few DID turn up on eBay for about $350-$400"
I'm hoping that Nintendo release the retail Disc at a price of £29.99. I would also then hope that anyone who buys 3 out of 5 sports in the Eshop gets the other 2 free. @rjejr yea that was my mistake lol I meant to say 2/3DS but I was thinkin maybe a 2/3DS owner of tomadachi life brings their game and 2/3DS console over to their friends, sign into his account, downloads it on the friends Wii U so now the friend can create a mii and play in user created town or whatever. Brings wii u into the mix. Now if it were released for both wii u and 2/3DS then you can just go online and meet up on miiverse . Only a matter of time before you can play your 2/3DS games on the gamepad via the eshop and your account ID. Its possible. Hopefully next E3 we get no region loccing and a true account system. Do it! !